I love WhatsApp and I’ve used it for many many years. I’m sadden to know, however, that when we restore our chat backups, the media files doesn’t transfer over as any other chat apps would. I’ve researched extensively and seems like many others have the same issues - media files not restoring correctly after restoring from backup. The trickiness and complication of WhatsApp’s backup is becoming a reluctant issue for me to continuously use the app. Any help resolving the would be much appreciated. Your Desktop App requires to keep Mobile App open. Its hectic. You can use OTP mechanism, or can generate monthly Login Credential. But this is painful that for keeping Desktop WhatsApp we need to use our Mobile Internet! Hi , I have been using whatsApp for couple of years, and it has the most reliable and most secure system , but it has a big problem and that's the low quality of photos that you share or use it as a profile picture , please consider about that in the next updates and make it better because it is a big shame that such a good app , have that quality level. I don’t get enough matches off this thing. Only Jorge and Bashar respond to me with any regularity. Whatsapp has inherited bad traits from FB. The new version only wants to get your contact info— contact’s name would no longer be displayed on the chat’s list unless you share your contact 24/7. It would be awesome if you guys can make a dark/black or blue theme please! My WhatsApp does not work well, in the calls if I put it in speaker, the other person can not hear me, and yesterday I gave a back up to the chats and i did not recover the conversations. Fix that please!!! I just feel that this app is pretty ordinary. It’s just like a texting app off your phone number. There is a little room for improvement. I would say that we should add more features like: filters, etc. just like Snapchat. Thanks! Having trouble entering contacts into WhatsApp. When I go to my regular contact list, many are greyed out even thought they also have WhatsApp on their phone. WhatsApp is a perfect and nice way to stay connected with friends all over the world! My autocorrect isn’t working in WhatsApp. One morning I got banned saying I violated terms of service, which I’m 100% sure I didn’t, I rarely use this app and only talk to my family of ~6 people. I emailed Whatsapp Support and I’m sure they did not check anything and I got the ignorant response of “We received a large number of complaints about your account,” which is impossible since I only talk to my family and I checked with them and none of them submitted any kind of complaint to them. No reason for the ban of my account was ever addressed nor did they do anything to help me get it back. Pretty much everything works nice with this app, but it is missing at least two features that will complement performance significantly: 1) polling capabilities. Especially when dealing with group chats, having the possibility to poll group members to reach consensus, would be a great add. 2) better notification integration. As a user of an Apple Watch, I’m relying more on it for notifications, but it only alerts me of the new WA messages, not when a WhatsApp call is coming in. This would be awesome , and even better, being able to take a call on the watch!! 3) ability to free up space by moving media over to a specified / chosen online location such as OneDrive, iCloud Drive, Dropbox, etc. Love being able to communicate with all my loved ones on WhatsApp, while traveling all around the world or just from home. I’m still getting used to it, after using two different texting apps. The best!! Thank you so much to the inventors!!! This is a very good app. I love it!!!!!! Recently I have noticed the voice call connection have been disconnected every 20 minutes. Please investigate the issue. I hate that the button to record a voice message is super tiny and you have to slide up to record. One touch recording option with a larger button would change my 1 star rating to a 5! I have been currently using whatsapp to make phone calls. it has a great call quality but one thing i hate is that it picks up too much background noise! Please fix this issue! Because we cannot have a normal conversation without it making the background noise horrendously loud (example): the background noise instantly gives me a headache the person on the other end of the phone call cannot have Anything not even the t.v. Can be on volume 1 and sound like its on volume 20 please please fix this issue! Es una buena app para enviar msj de txt rapido y facil de usar. App keeps crashes and will not stay open. Do I need to delete and reinstall? Thanks for all the things you brought to the consumer. But we need WhatsApp on iPad as well as iPhone and other platform. Can you add the dark mode feature? Newest update removed contact names in the app. The notifications show the name, but only the number shows in the app. Please ASAP. Not giving unlimited access to my contacts, notes, email addresses, etc. Its not working in my phone I tried a lot Install it once more Refresh my phn but nothing happen What should i do now? Why I cannot forward messages to more than 5 contact ? WhatsApp is a good program, a must have, however development of features is SUPER SLOW: The UI is in need of a *major overhaul* also. They should implement these features to make it more competitive w/ Telegram, Signal & others: *5 or 10 Pinned Chats instead of 3 *Disappearing Photos / messages *More Productive widget for Lock-screen *Posting photos & video without loss in quality *Built in Searchable google like feature (for restaurants movies etc) or bots @gif @bing like Telegram And last *but not least-* In-Chat Polling feature pls! - this would help with decision making or opinion taking inside groups, quite a productive tool. PS - What happened to the rumoured ‘Vacation Mode’ group feature? (So we don’t get spammed by Mute groups). We need updates EVERY WEEK not once every few months. We need instant features. So many updates we read about get lost or delayed on overlong BETAS! I’m thankful for it cause I can easily text my girlfriend and send photos where other apps would be frustrating cause the app itself was bad or whatever, I just wish there was an Apple Watch use too aside from regular notifications, like how Facebook Messenger has the watch app that you can open up and text through. I use it a LOT during times when I can’t whip out my phone, so easier access through the watch would be perfect. Hasta ahora me ha dado buenos resultados. I like the app. Works well. Facebook changed the app so that nicknames no longer show in your contacts list. If you want your WhatsApp contacts to show as names rather than phone numbers, you need to give the app (and thus Facebook) access to your entire address book. This includes notes, home addresses, email addresses, and they get to keep all this information. Very invasive. I have enjoyed staying in contact with a good friend across the world in Australia. Don’t like the forced update. Whenever a co. gives you no choice to update, it means control. I wish we had a choice. App is great besides the fact that when you’re on a regular call and someone calls you using WhatsApp it notifies the person that you’re on another call which is very annoying. 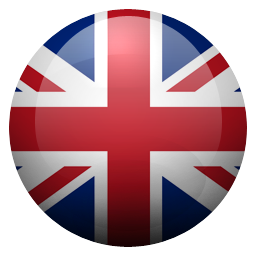 The app is easy to use and view videos and upload pics. I also like the video chat feature. Why is it limited? We need it to be more than 256 members. One guy trying to talk to my relatives/family and I block him and reported him. Can you guys help me out. I’m scared and don’t know what to do. Also can you guys possibly warn the guy to stop. If you need his number I got. Respond back if you need it. Anyway to stop him? Do you need the person name? Can you guys report/block or do something? I’m still scared and there’s a guy who demands money from me. Still please help I’m still scared. I’m not really sure what the point of this app is. In the age of online dating people hand out their number and social media left and right. I’m not so trustworthy. I’ve been looking for a messenger all that would allow me to use a phone number instead of something like kik, and I remembered WhatsApp. I didn’t realize you used your own cell phone number. I feel like that defeats the purpose? It’s just regular texting at that point. I guess if you had long distance family or friends it would work. I just think the privacy needs to be updated. I don’t want everyone to see my phone number. I deleted the app and my profile after signing up. Although I understand the necessity of restricting quantity of forwarded mail; the ability to forward only 5 msgs is tight. 20 was great, maybe allow 10 msgs?!!? 1. PLEASE make it so messages in muted groups don’t trigger the little blue badge. If I muted it, it’s because I don’t care enough about it to go in and read every message, and that is the only way to eliminate the distracting badge. Please make the experince consistent. Mute should mean mute - no notifications & no badges. This is the only reason I don’t join any groups. 2. GIFs are not photos. Photos are sent to pass on specific information (ie: “look how amazing my trio to Mexico was” or “here’s a screenshot of the car mileage”) while GIFs have a totally different functions. They are meant to integrate a visual element to the context of the conversation without giving importance to the content of the GIF itself. A GIF is a conversation enhancer, not the subject of conversation. Therefore, it shouldn’t be buried along with the photos. Accessing a gif should be a matter of 1-2 taps max. Please make it better. 3. So often I wish to simply like a message quickly, showing the person I’m texting with that I liked what they said. Replying is cumbersome and dorky for this purpose (replying to the message with a thumbs up? Really?) please add a way to like a message. After 8 years of my cousin living in Guangdong province in China, we both agreed on which service to use. That was easy, as several of my family and friends had been using “What’s App” to make contact seamlessly, and without flaws! China is a country with several restrictions, including many social media outlets, like Facebook and Twitter. But “What’s App” is not one of them. My first conversation with my cousin was on Christmas. Keep in mind I live in the PNW, and where my cousin is in China he’s 16 hours ahead of me. Normally we’ve been able to chat when it’s 6pm here and it’s 9am the next day in China. I’m very happy to leave this 5⭐️ Feedback. It’s reconnected my family and I couldn’t be happier. Also note, there are NO hidden costs or fees to use this. There are NO time restrictions; such as a certain time that you must use this app to avoid ant charges. Again, it’s 100% FREE! It’s works with your phone’s internet service, a lot like iPhone’s messenger does. We first found WhatsApp when one of my children went to school in Australia for a year. I was amazed that the texts were transmitted also instantly. And as my children grew up and moved away from out rural city, being part of a group chat allows up to interact almost, but not quite, as good as if we were all in the same house. We’ve even had real-time, or near-time runnings jokes and ridiculous selfie-wars. I also keep close contacted with my family on the individual level. E.g., I send photos of strange foods to one daughter. Further, when one of my married children visits with their family, or a few unmarried children come, I can make quick temporary group chats, such as July 2017. I’m also a member of two groups for the women in my community. One is just for Announcements. So much easier than having to call everyone individually or try to keep a telephone-call-chain going. 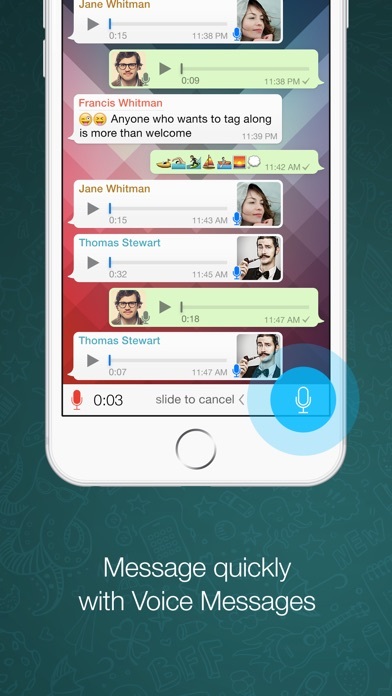 The other quality about WhaysApp is making long distance audio or video calls for free. Finally, and very importantly, this app runs circles around the text messaging service that’s already loaded on your phone. Videos load faster, and I rarely have a problem with the service. VERY rarely, like maybe twice in 8 years, if that. The only drawback, if you want to call it that, is that you need to have internet service, and it must be on, to use the app. For me, it’s worth it a hundredfold. It's just the way you have hard changed the notifications that is very unimportant and unimaginable. I miss the notifications from before this update a lot. Every time a message comes, it says Message. On the lock screen it says Message. No meaning lf from whom or which group the message is coming from. I won't know if I can ignore the notification or not. I accidentally open each and every message whether or not it is important. Why do you have to fix something that is perfectly working. The reasons you only would know! I am sure there would be lot of people who are not on board with this change. Please fix it. ***** Update: thank you for providing the fix for the notifications. But still I fail to understand why it had to be this way. As earlier it was working fine and now it has to be explicitly setup. The same fix, if could be added in update notes, would be helpful for all the users annoyed by it. Thank you. Million. Thanks to WHATS APP. ! On behalf of millions and Millions of global Users of WHATS. APP. I want to thank you to Developer and it’s organization for providing this Service, this innovative technology has made life so easy and worry less , Free services, where people are doing business, Sharing instant talk and sending pictures and messages, I would like to share my own experience with you guys who are using WHAT APP I came to USA in1985 there were no sophisticated tools no internet, it was very very hard to talk to people overseas , it was ver expensive I used to pay 60. To. 70 cents per minute, it was very hard to reach our people Secondly, if I want to send photos it used to take 10-12 days or more to reach my family And the postage was ver expensive too. I am Reminding all our Folks that how Lucky we are using the WHATS APP TECHNOLOGY I once again grateful to What’s App Developer for doing this great service to this global community. I generally love this app. I have family and friends all around the world and I get to talk to all of them around the clock as much as I want. We use it in school for group chats when doing group assignments and so on.. The only thing I can’t stand is that it drops phone calls every time I try to lock my phone. I like to talk on the phone using headphones while driving or doing stuff around the house, keeping my phone in my pocket so unless I lock it, it touches random buttons. I’ve tried locking it with the power button and it hung up every single time, then I turned on the assistive touch, to lock the phone without using the power button, and using the touch screen instead. This worked fine the first few times, but now it drops the calls as well. Any tips or maybe a fix would be great? Other than that I recommend this app to everyone. WhatsApp in general is fine. But every photo I take in the app is fuzzy; and more zoomed in than my normal photos app. It’s like they are putting camera in video mode and taking a screenshot. I guess this is part of their cross platform library but still, I wish it would let the camera app use more native and high quality functionality. Additionally, it’s wayyy too easy to send things to the wrong person. You can’t remove people from “recently contacted” or “frequently contacted” prompts around iOS for sharing. I’m terrified I will send my girlfriends brother something immodest because his name shows above hers even though our chat volumes are way different. WhatsApp is a globally loved tool but has some pretty strange UX issues given its financial backer and experienced staff. I will continue to use it as most of the world doesn’t have iMessage; but if they did; I don’t think I’d miss the WhatsApp app that much. Ok so I generally love the app. But with the new update came something peculiar about the voice message. Now you can keep listening to the voice even if you turned off the phone or switched to another app, but the catch is that if you’re listening to music and you start to listen to a voice the music doesn’t start automatically after you’re done listening to the voice. Now you have to enter the music app and press play so you can keep listening to the song. I don’t really like that. Another thing I don’t like is that if you take out the read receipts you can’t see if someone saw your status. And that’s really frustrating because you took out the read receipts so no one in the CHATS could see if you saw their text. Not for the status. I would really appreciate it if you took out those two things. Please and thank you! As an avid user of social internet media , I found WhatsApp is lacking in many convenient features offered in other apps. I use Facebook when I want to express some thoughts, events etc. But FB Messenger is not efficient in quick text, so I still resort to 20 years old practice in text msg like in Nokia phones. 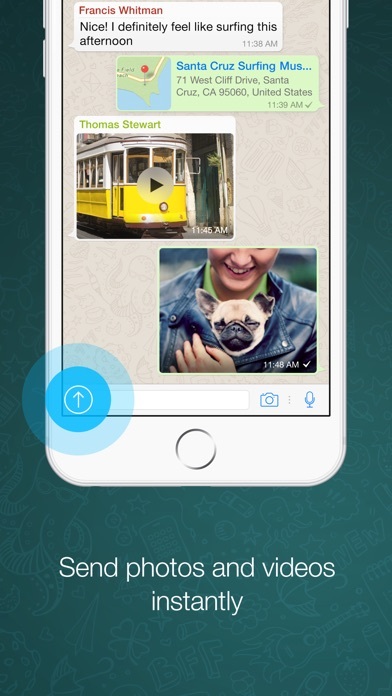 WhatsApp is subservient to the features offered by WeChat. Understood that WeChat is by Tencent in China, nevertheless the features are amazing. The Moment posting functions are like Facebook post. 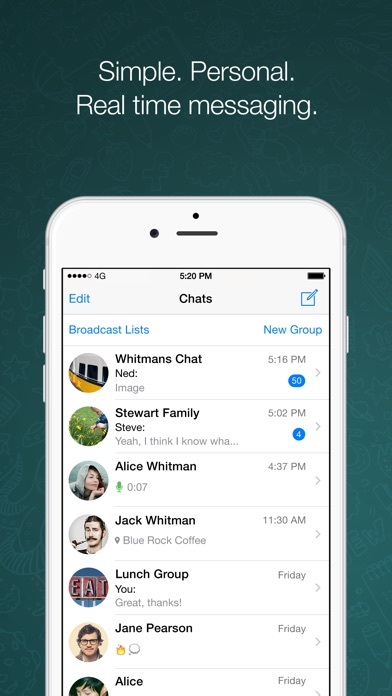 The conversation wether individual or in chat groups are more user friendly than WhatsApp. It allows recalling a wrong message sent in mistake. Attaching files and emojis are awesome. My only complain is that once viewed in one device the message cannot be reviewed in an other, which FB allows all history conversation once logged in. I lived in America over 47 years. I highly recommend friends to use WeChat for daily contacts over other apps. I really love this app. It's incredible how you can talk with anyone around the world without paying actual money. There’s nothing wrong happening with my version, the camera works well and shoots good photos. There are some things that would make this app the best messaging app. The first one is that when you mute a group chat there should be an option that allows you to mute it forever, same goes with the real-time location. When you create a group, others shouldn’t have the option to kick you from the group, and there should be an option to make someone not be an admin without having to kick the person and adding them again. Also, I really want the GIFs to have their own spot so you don’t need to go to Photos and Videos and then click GIFs. Also, make a DRAWING option. Well, that’s all. Thanks for this amazing app. The app is really great and connects me with my contacts all over the world. It makes it easy to stay in touch. You can text and even call for free. Doesn’t get any better than that! The only thing I would change is how easy it is to call people by accident. It happens all the time. I wish they would hide that button behind the profile page. This is mostly a texting app, do we really need that button on the first page?Even on an iPhone you have to first click the i button from the message page to call someone. It’s smart. Another issue is that the app distorts the quality of pics and videos after they are sent. I often receive videos with delayed sound and fuzzy images. I have to ask my contacts to send me those through other apps so I can actually get the proper sound. Please fix and it will be the most perfect app! When IOS updated several months ago, one of the features that was affected on WhatsApp was the option to sync contacts. I called Apple then and they informed me that each app provider must update their security profiles to be compatible with the new IOS. There have been 2 updates of IOS since then and still, WhatsApp hasn’t got with the program. Utility of WhatsApp has gone down as I have to research each contact to try to even place a call to them. Numbers that are in my phone book don’t register so it’s difficult to know which contact is which without that extra step in research. Furthermore, I can’t save new numbers directly from WhatsApp to my phone. This is quite frustrating. I have never left a review on this app before and decided that 5-6 months of this is enough. Can you please update your app to resolve this issue with iPhone! As the owner of a locksmith company and the manager of operation at Okey Dokey Locksmith, I want to say that WhatsApp is one of the most useful app we use on a daily basic. This platform of communication allows use to create a secondary network in a secondary level when we put customers on first priority. For example: if I dial/talk to a technician I use WhatsApp and customer can still call me on the cellphone. To further explain: if I call tech on the phone it takes 10-15 seconds for the telecom system to connect the call and within this time frame of clicking the dial button to the moment the line is connected, a customer might get to the answering machine. Highly recommend to all of you business owners to use WhatsApp as a secondary network for your employees if they are interfacing customers over the phone. WhatsApp is an amazing chatting app that conveniently connects you to a broad chat base of your family & loved ones, friends and acquaintances alike at a quick setup without having to generate unique ways to connect with each other. It has a plethora of other cool features like ability to make voice and video calls etc. and now even make payments to each other for a dinner you shared but did not pay for... BUT all this power without the possibility to lock the app or have a password access is a waste of opportunity to complete the offering by WhatsApp. I really feel THEY ARE RATHER LATE. PASSWORD PROTECT OPTION at starting the app window IS MISSING AND should have been there like yesterday ... it’s a simple feature addition but gives many people the safety they want to protect their communication and today communication is everything! Although WhatsApp is a must to talk to so many people who own no iOS devices with iMessage, I tend to use it the most possible for a major privacy related reason! Whenever I’m online and sending a message, anyone can know that I’m online! There’s no way to hide that! I can hide my last seen, but when I’m online, the whole world can know it! That’s the best stalking tool for creeps and weirdos, and WhatsApp seems to love these people! In addition to that, my other issues with WhatsApp include the inability to receive and send from more than one number! I mean my iPhone XS has two lines in it! Why should I be limited to receiving WhatsApp messages to only one of them? It’s about time WhatsApp made a personal account that allowed access to multiple numbers, and that allowed access to the account from multiple devices! Because I’d want to receive my messages on my two iPhones, Mac and iPad, and be able to reply from any of those without needing to use the very glitchy and fragile QR scanning system they already use that extracts the entire info from the main source while draining its battery too! And it’s always creepy to find ads on Facebook related to what I was discussing on WhatsApp text or voice... I’d frankly prefer to have WhatsApp be a paid service like it was before than be an ad instrument for facebook! I love this app, but 1 thing I wish they would change is their notification system/inability to get calls when I’m on another cal. Sometimes I’ll be on a phone call from my actual phone, and then when I get off the phone an hour later, and if someone from WhatsApp is trying to call me, it’ll say “Missed Video call from____”. To me, it’s annoying how if I’m automatically on a phone call, the WhatsApp video call won’t go through period. WhatsApp should let the video call go through, so even while I’m on my phone during another phone call, and I see someone calling me, I can answer the other. Sometimes it’s important and I need to answer because it’s family from another country, but I never can because WhatsApp automatically tells them I’m on another call, but doesn’t notify me. Fix it. Please. It works with audio calls, why not do this for video calls too? Hello, I’ve been using WhatsApp for years and it’s great as we all know it, but just today I don’t like the way a message notification appears since I turned off my ‘show preview’. It will usually show the contact name who sent me a message without knowing what he or she sent to me about, but right now I’m having an issue where the notification only shows ‘message’ and it doesn’t tell who sent me a message and of course I don’t know what’s in the message since I turned off the preview from my settings, but I really don’t like what’s going on, if this is an update, please I’m really hoping WhatsApp could do something to make it like what was it before, thank you, I would really appreciate if anything is done. I absolutely love just about everything about your ‎WhatsApp app… And I use it all the time to communicate with my two world traveler daughters (and my son) who are literally spread out around the world. I only have one single gripe with ‎WhatsApp, and it is the ONLY reason that I am rating it four stars instead of five. I do not understand why, (with all of the resources available to the developers of an app like this that is so popular), you do NOT have an iPad version of this app available! Everyone in our family who has an iPhone also has an iPad (and there are many), to allow them to see and manage all of our photos and videos in the larger display format. I do not believe that we are particularly unique out there… Please, get the Apple SDK for iPad, and do the work for Pete’s sake! My title pretty much says it all. I hold out on downloading this for a long time because I had for some reason imagined it would be really complicated. It simply could not have been easier to figure out. There is nothing to figure out. It is simple and intuitive. And I am thrilled with the announcement that all messages are now encrypted. And free international calling? I had no idea that was a feature. I wish I had known this when I travel to Europe it would have a lemonade it the whole saga of getting international Sim card and figuring out how to connect etcetera. Also, now I will never again have to glitchy Skype with my cousins in Colombia! Highly recommend this app. I guess I did have more to say than the title. I was scrolling down the pages in the app and my finger accidentally landed on the stars button for rating What’sApp as I scrolled the page. There’s no way to undo. I rthink I saw one star flash, but it shows three stars, which is at least better, but not enough for What’sApp which does sooo much. Imagine an app that performs so many tasks, avoids so many charges. is not laborious to use, AND is FREE!!! I’ve had other opportunities to rate and have given it 4 stars. That’s the most stars I give unless the app solves an intractable problem, is the only one, or first/best one to do so, and is perfect. Don’t want to dilute the 5 to preserve its value. When I’ve used more of What’sApp I may rate it a 5. It’s close. So if you’re wondering who is the dummy who rated What’sApp an odd 3, it’s me. Sorry. WhatsApp is a great way for me to keep in touch with my family and friends from around the world. For me, WhatsApp is the go-to app to text my cousins and uncle and aunt in India. The only thing WhatsApp lacks is a WhatsApp iPad app. Other apps like GroupMe have an iPad app. I want to see a WhatsApp iPad app soon. I know that the iPad doesn’t have specific features required for the iPad but there should be a way to have WhatsApp on iPad. I have tried to email the support team about this issue but I got no response! If a WhatsApp iPad app is out of the question, at least optimize WhatsApp for iPad! If there is no WhatsApp iPad app, I may have to delete my account. I would have given it five stars but insisted I have the app a four star rating because of a lack of an iPad app for WhatsApp. PLEASE create an app for the Apple Watch!! WhatsApp is the only way that my husband (who is deployed) can communicate with each other and I love it for that reason. The video calls are usually clear and reliable, though the message notifications aren’t always so. But I went out on my first Black Friday trip today to buy the Apple Watch so that I wouldn’t miss a single one of my husband’s messages or calls since I’m going back to school and can’t always have my phone on me. I was pretty crushed to learn that, once I’d waited 3 1/2 hours in line for the Watch, WhatsApp doesn’t have an app for this device anyway! To the developers...please, please create this soon! We’ve got over 9 months left on this deployment, and you could help make it just a little bit more bearable just by doing this. Thank you! My first time using your Application. Of course my daughter had to put the application on my iPhone she’s 22yrs. I’m BC ( before Christ )for technology, just not my thing. So my phone rang with the strange ringtone and I push the button and there appears my son, Who I haven’t seen for a year because he’s deployed in Europe in the Army. We had a lot of catching up to do with his career and what I was doing because I’m retired, While we were talking it was just amazing to me to think that he’s halfway around the planet and I’m talking to him live on my iPhone, which was just freaking bloody unbelievable. So I guess technology does have its place, thank you guys for being out there and connecting families all over the world. Sincerely Michael C Lock Retired MPD #3020,Idaho. My brother is doing an internship abroad and it would cost an arm and a leg to communicate with international data with where he is. This app makes it so much easier for me to communicate with him! 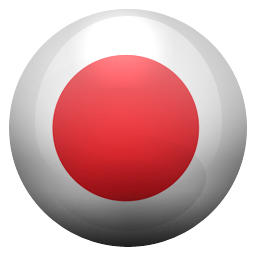 The app does an excellent job providing text, call, and video call options. I mostly use the texting, and it’s awesome because it’s encrypted between you and the other person so no third-parties can have access to it. Another note is that my dad doesn’t have any social media and this app has made it so he can talk to my brother without having to use someone else’s social media or using my mom’s, mine, or my little brother’s phone to contact him. 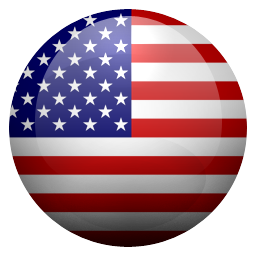 All around great app, and I haven’t had any issues with it. Pretty good, but there are some things that bother me. I really like that this app allows me to speak to anyone that is available on here without having to worry about paying some huge fee if it is someone overseas. However, there are a few issues I have with this: 1. I am not sure if this is just my connection, but whenever I am in a video or voice call, I often find that it keeps disconnecting me from the call and a lot of times, I cannot hear the other person. 2. The thing that really bothers me when it comes to calling others on here is that if the connection gets screwed up, I will constantly hear this loud beeping sound, which gets very annoying after a while. What I personally suggest would be to have it where it doesn't beep so loud. Some could say that I am just sensitive to that, but I find that even if the volume is very low, the beeping can be quite loud, while I can barely hear the one I am talking to on the line. Again the constant disconnecting could be because we are in 2 different countries or it could be my internet speed. The thing that I would really like to see change is definitely removing that assinying beeping sound! I love Whatsapp and it is very user friendly. I use to for personal and work purpose. And really helps in my day to day activities at work. Just one suggestion some times in a group chat we want to avoid a particular individual from some conversation and as a result we end up creating a new group each time and that group is never used again after that conversation. Why don’t you create a option in Whatsapp group where you can create a conversation subgroup and select who should be involved in it from the group and once the topic is discussed the conversation subgroup can be closed. This helps a lot of user in personal and business purposes. Just a suggestion and I believe it’s do able. Oh my gosh. Thank you thank you thank you for adding the function that prevents having to hold ones thumb down to record a voice message! This is the best ever. My girlfriend is currently living in Germany, and I am in Santa Barbara, CA, so we have depended hugely on the voice message feature. That said, we often lost our messages >5 minutes in due to a slight wrong gesture of the thumb. On top of that, our thumbs were constantly sore (sounds crazy, but 15 minutes of keeping your thumb pressed in one spot is rough). I have yet to find out if this update also prevents messages from getting deleted if someone calls during the recording, but am definitely crossing my fingers. Nice work! Please save me from Group Messages! I like this app and will continue to use it, but there is no way to archive chats and leave them there. I am in a 25 person family group chat (which of course I can’t leave because it will tell everyone) and it’s pretty constantly going, so I “mute” the chat and it doesn’t pop up notifications, but as soon as I open the app I see it at the top of my chat list with a little blue circle of 1,000,000 new messages. I select “archive” and it HALLELUJAH goes away, but THEN (two minutes later) someone sends another message and it pops to the top again... PLEEEEEEEEASE, pretty please with a cherry on top, make a way for me to mute and archive chats that I can control and decide when I want to start seeing them at the top of my chats list again... Please. It would be a life saver. This app has got to be the oldest if not one of the oldest message/phone calls/video calls apps that allows you to perform all above mentioned communication methods via WiFi. A huge perk is that you may do this in both inside and outside your country cellular limits as long as you are connected to WiFi. There is no unlimited usage in all forms of travel. It varies if you are on a cruise for example, or if you are on a specific travel package when you fly outside of the country- in which the responsibility lies between you and your service provider, not WhatsApp. This is a fantastic app. Easy to use and straight to the point. Thanks WhatsApp!! !